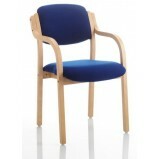 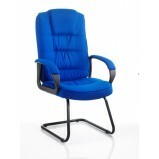 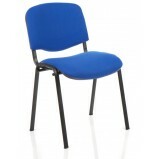 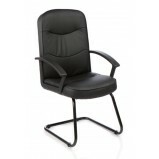 Office Furniture GB offers a selection of low-cost Conference Chairs and Office Visitor Chairs. 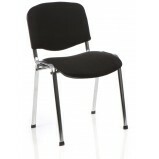 Multi-purpose conference seating provides solutions for a wide variety of meeting, training & conference requirements. 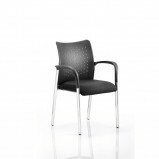 We also have a range of conference tables and modular tables. 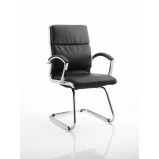 Academy Meeting Chair Academy office chair is a new multi use heavy duty meeting chair is funky, modern and completely versatile.Chrome oval tube legs, well padded seat and curved back with breathable holes will look and feel good in any..
Brunswick Meeting Chair This is a new eye-catching contemporary conference and meeting chair. 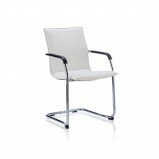 This versatile chair will match many of meeting and conference tables for a complete modern look. 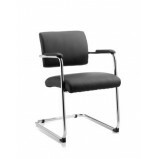 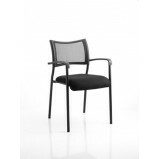 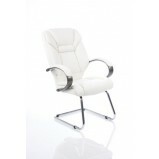 Features Eye catching contempor..
Soft well padded bonded leather Leather padded arms Large contoured seat Solid chrome frame Options Black or Ivory Matching executive in medium or high back available ..
Dusk High Density Stacking Chair Dusk is a high density stacking chair for all public buildings. 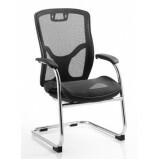 It is comfortable, tough, easy to handle and arrange making it ideal for conferences schools and universities, dining areas, common ro..
Echo Cantilever Boardroom Chair Echo cantilever office chair. 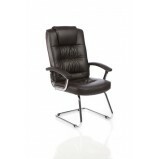 Sleek design meeting chair is ideal for boardrooms with its unique all in one soft leather shell, curved frame and padded arms this chair offers a designer look for those on a..